▪ Click the bittings to be included in a group. ▪ SuperKey automatically adds and displays any incidental and phantom keys. ▪ The cross keying tool displays a keying chart for the selected group along with other information about the group. 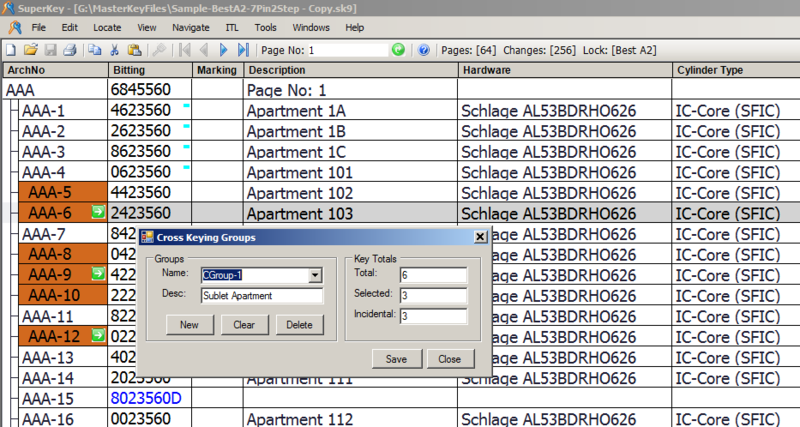 ▪ Cross keying groups can be printed in any one of the keying reports.